These pre-drilled bumpers are constructed of fiber reinforced rubber containing nylon and polyester to withstand all weather conditions. 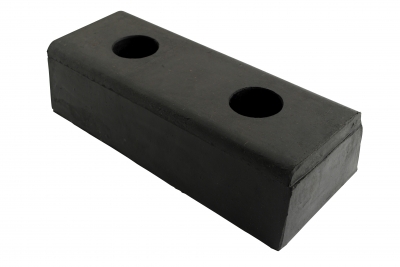 Hardened rubber provides high impact resistance. 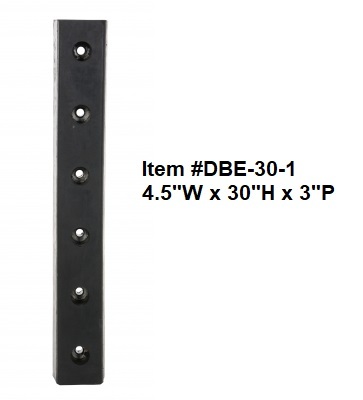 Available in 3" Depth and 3 Heights, 10", 20" and 30". Steel reinforcement rings are molded into each bumper for installation. 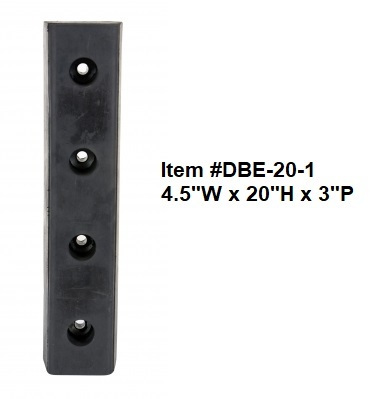 Uses anchor bolts that are sold individually. Order installation hardware separately.